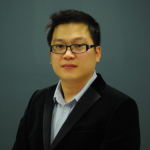 Kok Chen (KC) Lim is Senior Solutions Consultant in Coriant. He based in Kuala Lumpur and he is part of the Coriant APAC team to design and deliver network solutions to collocation providers, dark fiber providers, and telcos/ISP customers across APAC. 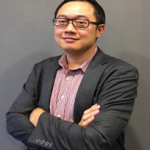 Prior to joining Coriant, KC was a Senior Consulting Engineer at BTI Systems/Juniper where he was leading pre-sales support, covering DWDM/ROADM/Carrier Ethernet solutions, partner enablement, customer demos/POCs activities in ASEAN. KC holds a Bachelor of Engineering (Hons) and Master of Engineering Sciences from Multimedia University. It is no secret that increasing bandwidth demands and the rise of the data center are having profound impacts on optical networking. Taking a cue from the separation of hardware, operating systems, and applications software in IT, and more recently the separation of compute, storage, and networking in data centers, the trend toward disaggregation and openness is starting to impact the broader communications equipment market. This impact is already being felt with the shift to SDN, disaggregating the control plane from the forwarding plane, and the shift to NFV, disaggregating network hardware from software functions. In terms of WDM transport, disaggregation is coming in the form of open line systems. In this session, let’s discuss how data center traffic is changing your network. Megat Muazzam Bin Abdul Mutalib is the Head of Malaysia Cyber Emergency Response Team or in short, MyCERT – a department within CyberSecurity Malaysia. He is responsible in Cyber999 Incident Handling and Emergency Response daily operation, which primarily focuses on incident alert or threat issue, related to Malaysia constituency and the Malware Research Centre. 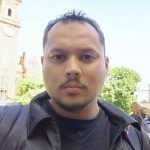 He has various experiences in IT security field such as network security, penetration testing, web security, malware research and honeypot technology. Megat Muazzam is recognised for his capability of conducting numerous training and talks for various organisations locally and internationally on topics ranging from introduction to advanced security courses. Megat has also involves in various global computer security initiatives such as the Forum of Incident Response Teams (FIRST), the Asia Pacific CERT (APCERT), the Organization of the Islamic Cooperation – CERT (OIC-CERT), the Anti-Phishing Working Group and the Honeynet Project. Occasionally, he speaks at conferences such as OIC-CERT, FIRST TC and Infosec.MY. Topic focus on MyCERT-Cyber999 observation in year 2017 incidences on the current and emerging threats. To share statistic/data of sample case study, background of the issue, advisory and action taken to address the problem. YJ Huang is leading Arista systems engineering team in APAC, providing cloud data center networking solution to customers. He has 15 years of experience in the networking industry. Prior to joining Arista in 2010, YJ worked for Telco Systems as technical director APJ, focusing on Metro-Ethernet solution. A resident of Singapore, YJ holds a Master of Engineering in Electrical and Computing engineering from the National University of Singapore. Based on the research by Dell’Oro, the server shipment by Cloud and SP will exceed enterprise for the first time in 2017. Worldwide cloud data centers are poised to achieve explosive growth as cloud 2.0 mega data centers replace enterprise web server farms. The size of data and the bandwidth requirement are growing at exponential pace driven by Serverless Compute, Machine Learning (ML) and Artificial Intelligence (AI). Both Service providers and new Cloud operators are racing to adopt the latest technology to keep up with the bandwidth demand for their business growth. 25G/50G/100G are the current most economic way to scale Cloud DC connectivity in terms of per Gbps bandwidth. With the Cloud DC network bandwidth requirement doubling every two years, SPs and Cloud Titans will need 400GE/800GE to help them scale the cloud DC to be competitive before 2019. In this session, we will discuss the Cloud DC trend, new 400GE/800GE technology and the different solutions. 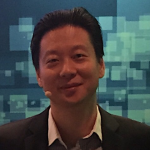 Shaowen Ma is a Product Director for Juniper where he leads the APAC Product & Solution team for all major APAC customers, include Service providers, OTT and Enterprise customers. Recently he focused on SPDC, MSDC, OTT network architecture, and also technologies such as BGP/Segment routing/EVPN/VXLAN/SDN/NFV etc. In this session, we will introduce Google’s recently Espresso SDN Peering solution. * Cheaper Peering solution by extend Hollow/Lean Core Solution to ASBR router. * Discuss use case for CDN/SP/OTT etc. * SDN controller system close the loop from automation/telemtry and AI. Matt is Interconnection Manager at Facebook responsible for the Asia Pacific region based in Hong Kong. In this role he looks after peering & caching relationships and building and maintaining long term partnerships with the networks in the region helping Facebook to make the world more open and connected :) Before joining Facebook Matt was Senior Network Architect at Akamai and Peering Manager at Cable&Wireless Worldwide, with a long time focus on the Asia Pacific region. A journey of how the Facebook network arrived at its current scale, and the culture driving how we got there. I work for an organization named dzcrd Networks who specializes in deploying large scale cloud Networks in Europe. Additionally I have been working as an APNIC Community Trainer to work as an instructor for various workshops as and when required.. I have been working for an ITC(International Terrestrial Cable) license holder, 1Asia Alliance Communication Ltd for the past 3 years as Head of Core Network. Before that I used to work for Telnet Communication Ltd(Nationwide Data Service Provider) for almost 5 years. Have completed CCNA in early 2000. Then have attained various Cisco and Juniper certification. In my leisure time I work as a FreeBSD port committer. Blockchain is a cutting edge technology to store data publicly in trustless system. This paper describes about how this technology can be used to give a new look to the Internet. 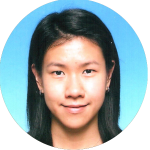 Brenda Buwu is a Network Engineer for APNIC, the Internet registry for the Asia Pacific region. Based in Australia, her role involves installations to operation and maintenance of network technologies. 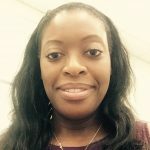 Brenda started her career as a Telecommunications Engineer in Zimbabwe shortly after completing her Bachelors degree. She moved into the IT space on moving to Australia and has completed a Masters in IT. She has worked in various technical positions in the industry over the last 10 years. Let’s take a look at some statistics of RPKI coverage and deployment in the region, and have a discussion of routing integrity and using RPKI as a control of an object. The session will consider the work APNIC is doing in RPKI, transitioning from using a five-trust anchor topology to a single-trust anchor topology and cover the transition process itself and the motivation behind the transition. We will explain what Members need to do for this transition, and outline the planned schedule for completion of this work. 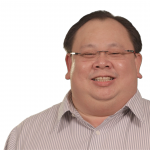 Tony Teo holds the position of Regional SE Director, Asia Pacific at Arbor Networks. Based in Singapore, his responsibilities include driving all of Arbor’s technical operations, and assist sales force in developing new business opportunities in APAC region. 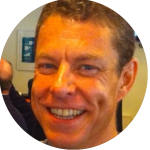 With over 16 years’ experience in the ICT industry, Tony’s areas of solution expertise include network security, application delivery and infrastructure management. Prior to joining Arbor Networks, Tony had worked in HP, TippingPoint, Radware, F5 Networks and Motorola. Tony graduated with a Computer Engineering Degree from the Nanyang Technological University (Singapore), and holds a Master Degree of Science in Electrical Engineering from the National University of Singapore. Let’s look at the changes in DDoS threat, how this has been evolving from the past. What trends we have observed and how shall we evolve ourselves to cope with it. Statistics will be drawn from Arbor Networks report on 2016 DDoS attacks events. To conclude the presentation, we will briefly look at what research data Arbor Networks have on threat landscape, as well as recommended best practices in DDoS defense. 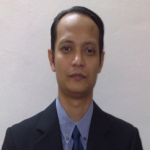 Dr Azman is a Senior Consultant at Telekom Malaysia specializing in Energy/Utility Sector. 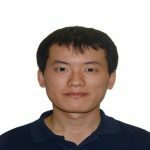 He was a member of Network Resilience Research and Secure Lancaster group at Infolab21, UK (from 2010-2014), one of UK’s cybersecurity excellence center endorsed by GCHQ. 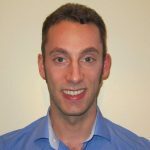 His PhD thesis was focusing on Autonomic Resilience Strategy; Capitalizing on Policy-based Management and Autonomous Learning Systems. Prior to his research, he was involved in Operation and Development of Datacenters and Internet Exchange. Dr Azman was among the pioneering TMNET’s team that help to grow Telekom Malaysia’s new ISP business and services since 1999. Managing and protecting Critical Internet Infrastructure demand for an advance approach as attacks on them are becoming more sophisticated than ever. The DDos attacks for example are more dynamic, harder to profile and come in great volume and velocity prompting for a more intelligent and automated approach to address the challenges . With the advancement of SDN and Machine Learning techniques, will a more autonomous network management become a reality? what does it take to build one? This paper discuss an autonomous approach in network management, focusing on their impact to network resilience. Sanjaya is the Deputy Director General of APNIC. 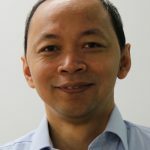 He has 30+ years’ experience in computer and information technology, starting his career in 1984 with IBM, Indonesia. In 1994 he established the first commercial Internet Service Provider in Indonesia, IndoInternet, and became its President Director until 2000. He was actively involved with the development of the Internet in the region and became the Indonesia ISP Association (APJII) Secretary General in 1999. He also served as a member of the APNIC Executive Council in 1996. 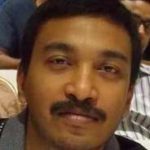 He joined APNIC in 2001 and has undertaken various roles within the technical and services areas. His main responsibility as APNIC’s Deputy Director General is to oversee the implementation of APNIC strategic and operational plans, to realise APNIC’s vision of “A global, open, stable, and secure Internet that serves the entire Asia Pacific community”. Jocelyn is the Interconnection Manager at Netflix taking care of South East Asia and South Asia. Based in Singapore, she ensures that the customers in the region are getting the best experience while streaming Netflix. Her role includes peering and providing caches to partners in the region and helping them to identify areas of improvement in the network. Prior to Netflix, Jocelyn was a Network Planner for Microsoft and Business Development Manager for Global Transit Communications. Over 20 years experience in Architecture / Engineering / Operations / Planning / Negotiations with some of the largest ISPs, Content, & DDOS mitigation providers. In his spare time, he likes Yoga, Reading, Amateur Radio, & Guitar.